In the summer of 2018, just before I left for Dubai, my parents, uncle, husband and I made a little car journey through the Cotswolds. 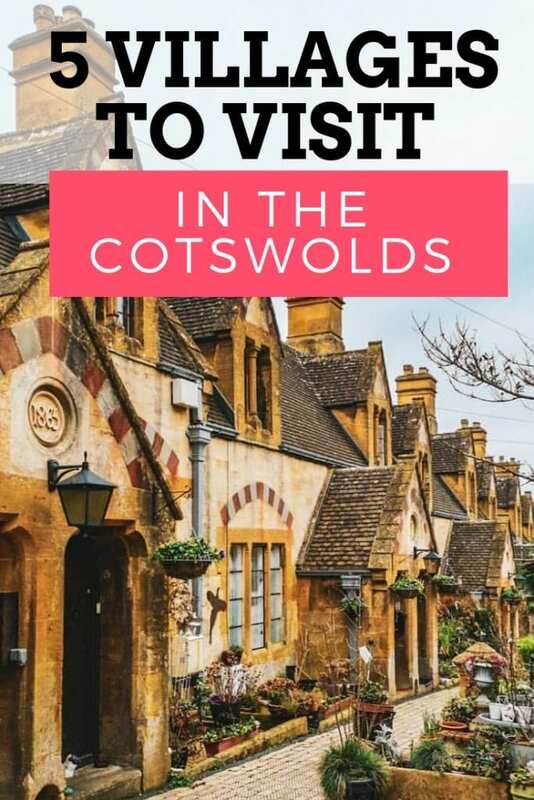 Having seen The Cotswolds in movies such as Bridget Jones and having heard amazing things about the area, we wanted to visit this part of Britain as a last 'family holiday' before I went off to live in the desert. 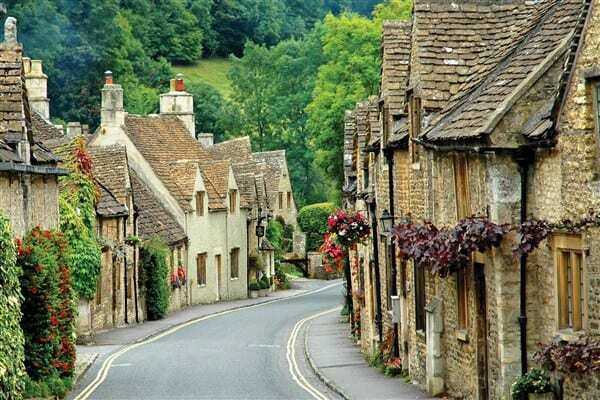 The Cotswolds is a picturesque area in Southern England (more like South-South-Middle), popular with both the British and visitors from all over the world. 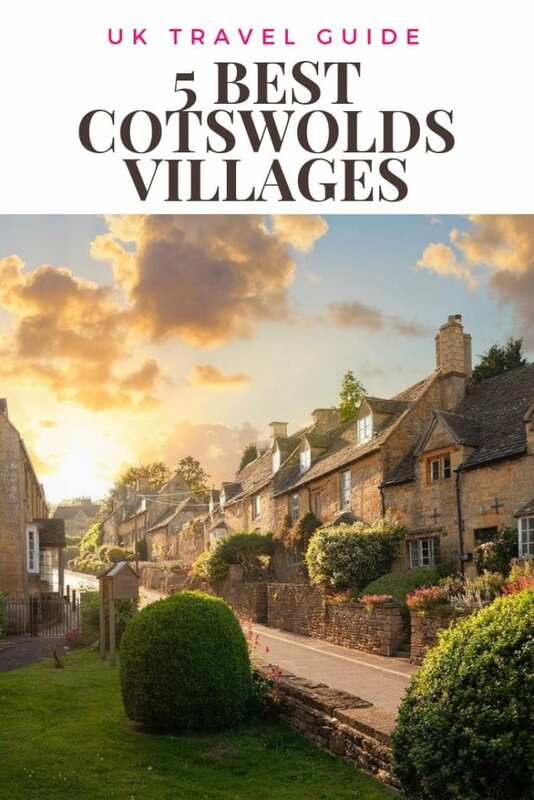 The Cotswolds was officially designated as an Area of Outstanding Natural Beauty (AONB) in 1966 and it is the largest area of outstanding natural beauty in England and Wales. 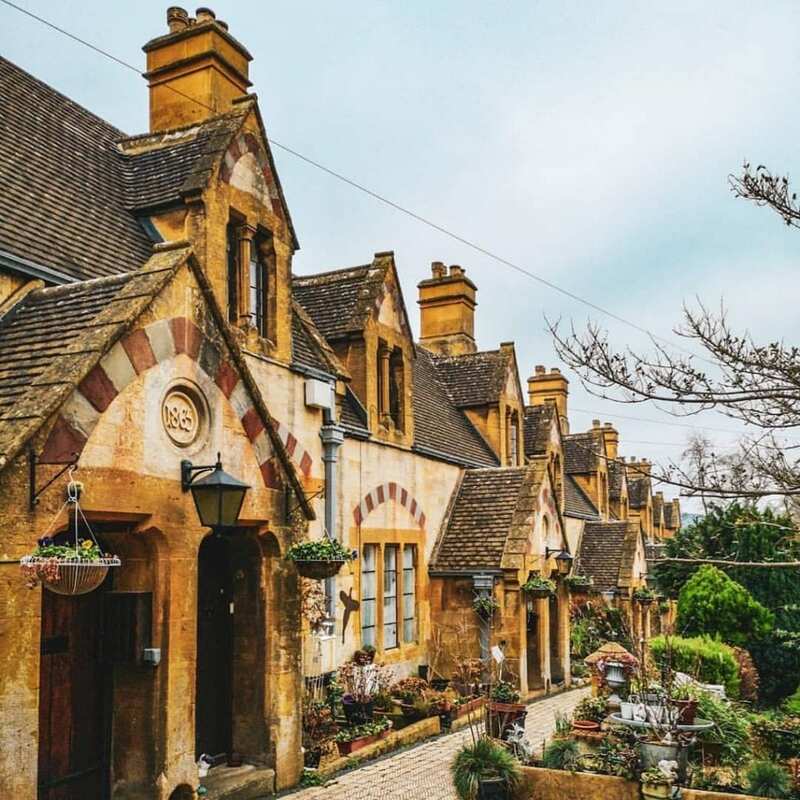 Located on a series of hills between Bath and Stratford-Upon-Avon, this region is known for its adorable villages that can be classified as the pinnacle of Britishness! 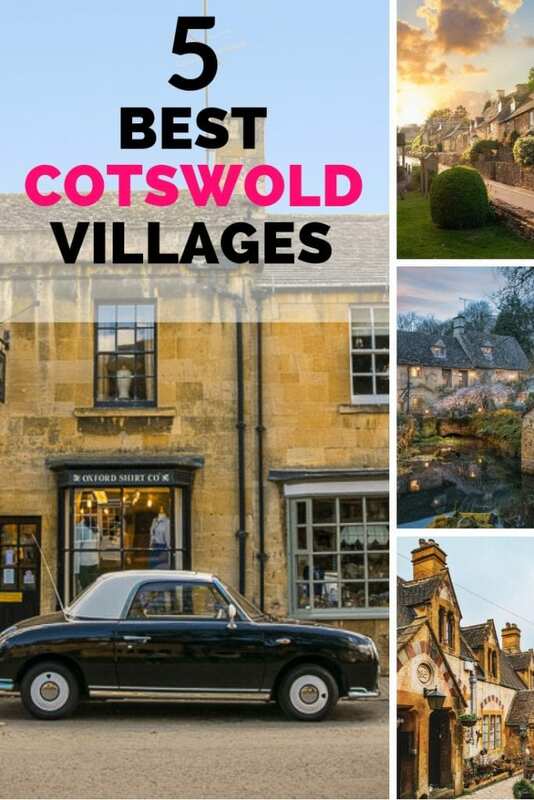 If you are planning to visit The Cotswolds, there are 5 amazing little villages you just can't miss out on! 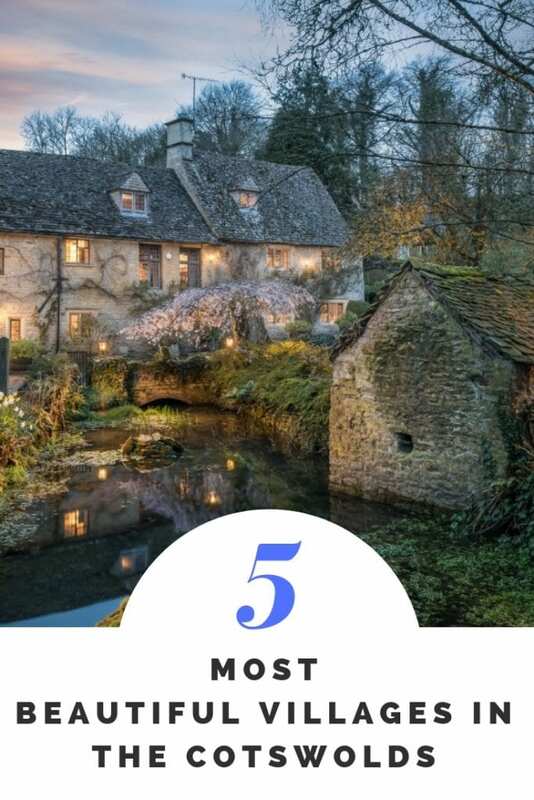 This romantic village is one of the most popular destinations in the Cotswolds with its charming low bridges spanning the Windrush River. Bourton-on-the-Water is a city with many shops, pubs and traditional tea rooms. There’s also a Model Village that you should visit, it’s a miniature replica of the city itself. If you are a car lover, you might want to visit Cotswold Motor Museum. Although it is not what you call 'cheap', there are loads of amazing cars on display. I remember it being exceptionally warm when we visited Bourton-On-The-Water. There were loads of tourists around - many of them Asian. The local pub was full to the brim and we were lucky to find a table. My parents walked around a bit and went into a few tat shops while my husband and I tried to cool off with our feet in the river. Bourton-On-The-Water is an amazing little village to stay in and I would definitely recommend trying to find a little hotel or b&b here. 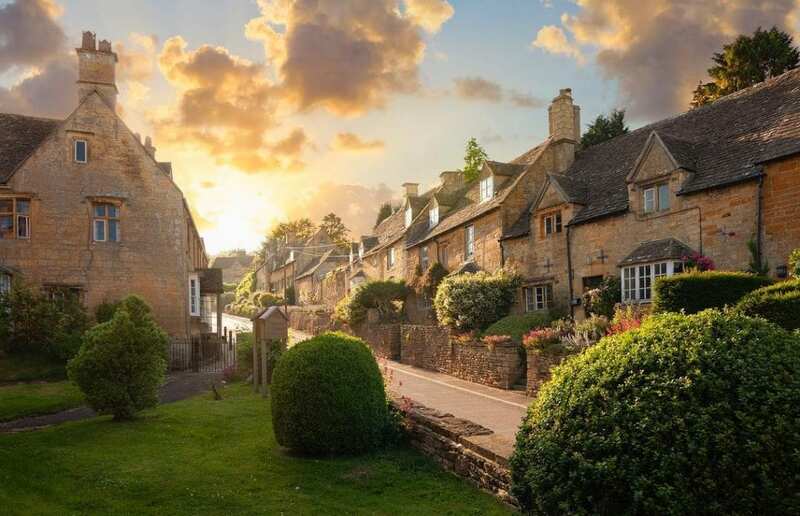 Described by noted Historian GM Trevelyan as “The most beautiful village street now left in the island” Chipping Campden is a must-visit when you decide to take a little tour of the Cotswolds. Enjoy taking a walk around the long busy main street with beautifully preserved historic buildings, including the City Hall and the covered market. You’ll be fascinated by James Church, one of the finest of the Cotswold Wool churches, built about 500 years ago in the perpendicular style. Make sure you visit the Ernest William Memorial Garden, the Tower of St. James’s Church overlooks the garden adding to its beauty. I personally loved walking around the high street and looking at all the quaint little shops. Yes - they are massively overpriced and tourist come out with all kinds of expensive tack, but there is something magical about this place. We had parked our car not too far from the church and walked around for about an hour. 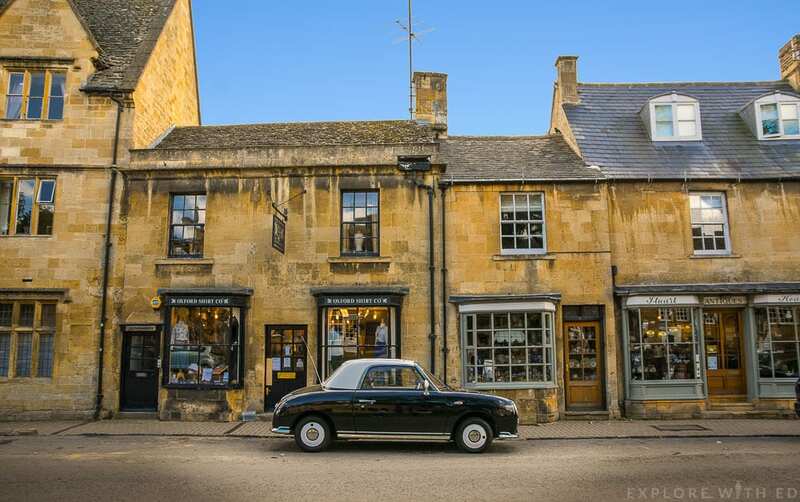 Chipping Campden is a great stop on any Cotswolds tour! 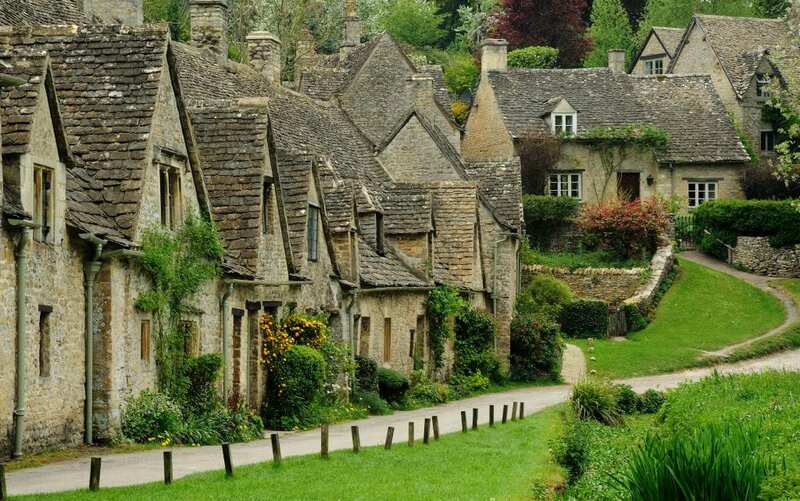 Bibury was once described by William Morris (1834-96) as "the most beautiful village in England". The Coln River flows through the village, along the main street. Bibury's attractions include a trout farm (1902), where some 10 million rainbow trout are born each year and Arlington Row - you might remember this quaint row of houses from Bridget Jones' Diary. St. Mary's Church is also a must-visit. It is a beautiful old church with an amazing rose garden. It also houses a Viking tombstone, visible in the northern part of the church with interlocking Scandinavian-type motifs from the pre-Norman period. When we went to Bibury we were a bit stupid - we trusted our satnav and basically ended up at St Mary's. St Mary's is nice enough, but the real pearl of Bibury is Arlington Row. So when going to Bibury I would recommend setting your satnav to Arlington row as St Mary's is still a walk away. Where there were a lot of shops and pubs in Bourton-On-The-Water and Chipping Campden, Bibury is remarkable... rural? 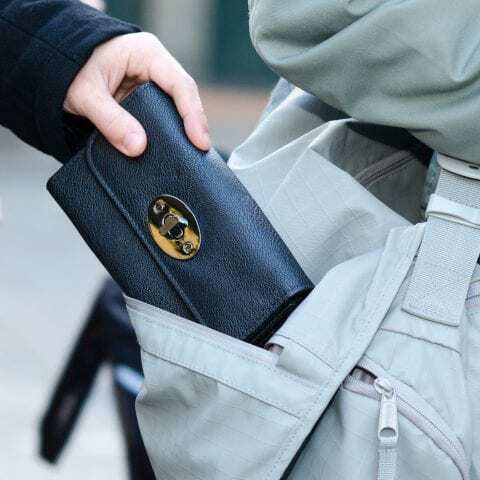 Don't get me wrong - there are busses and busses of tourists being dropped off at any minute, but there isn't really anywhere to shop, eat or drink. I would not recommend staying here or stopping here for lunch or dinner. Moreton-in-Marsh is a large town of the 13th century. In the past, Moreton-in-Marsh was an important meeting place on the Roman Fosse Way, an ancient Roman road. 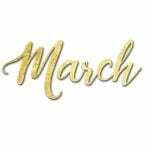 The tradition remains: the village of Moreton-in-Marsh welcomes every Tuesday one of the largest markets of the Cotswolds. 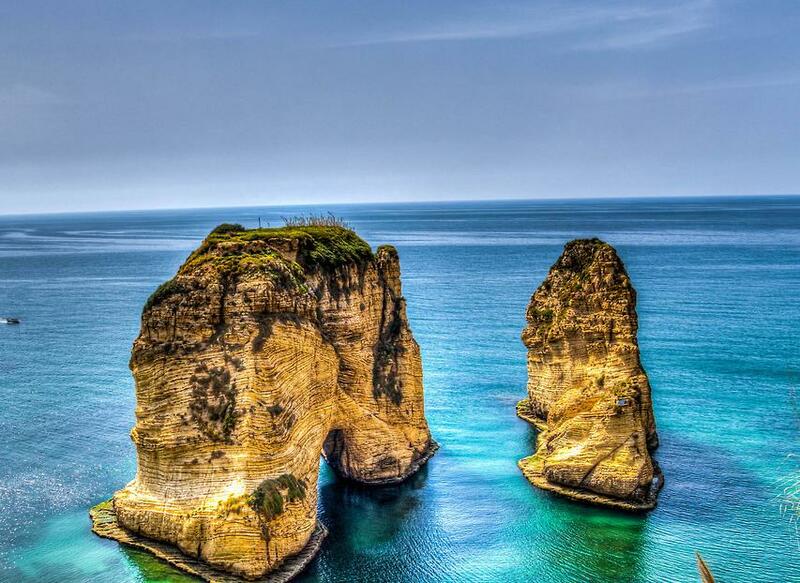 The city has many honey-colored stone buildings, many antique shops and several hotels. 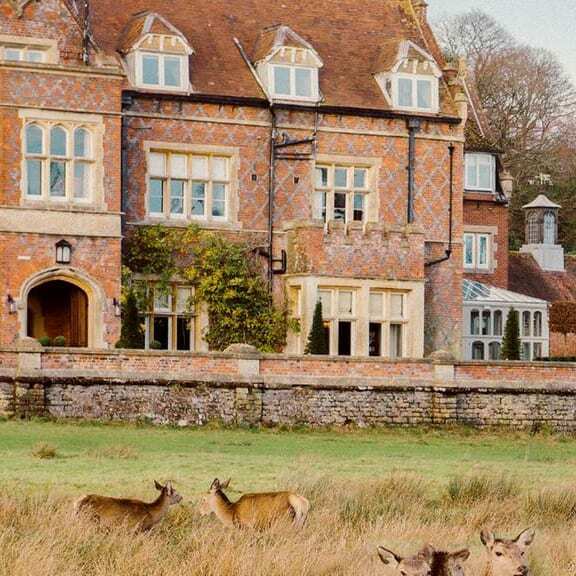 It is a sweet touristic town with many attractions including the Batsford Arboretum, one of the largest private collections of rare trees in England. 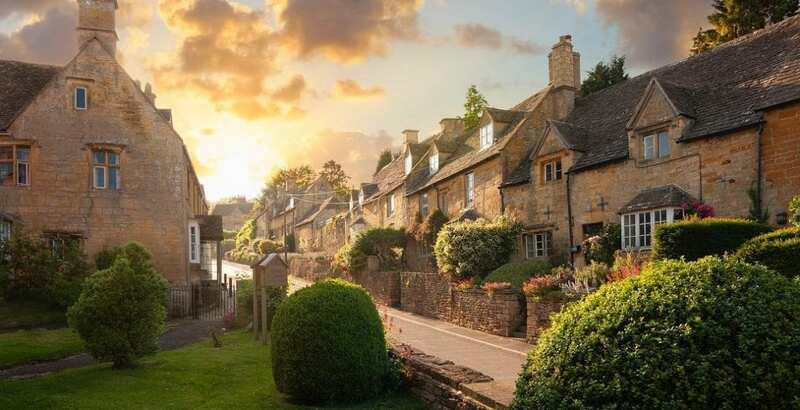 Where Bourton-On-The-Water and, Chipping Campden and Bibury might look very tailored and maybe even a bit 'too perfect', Moreton-in-Marsh perfectly combines the quaint style of the Cotswolds with a real village. Yes - it still looks like it comes straight out of a picture book, but there is a bit of hustle and bustle and you will find a great selection of shops, restaurants and pubs to eat and drink. 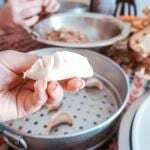 I would definitely recommend staying overnight in Moreton-in-Marsh, especially since there is a great selection of restaurants to choose from. Winchcombe is a small, well-preserved medieval town, certainly one of the most beautiful places in the southern Cotswolds. 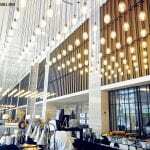 It has many old traditional houses, antique shops and specialty shops. and the St Peters church that was built in 1465. Nearby, you can find Sudeley Castle, the last home of Queen Katherine Par. The castle has has nine individual gardens, designed and maintained to a very high standard.